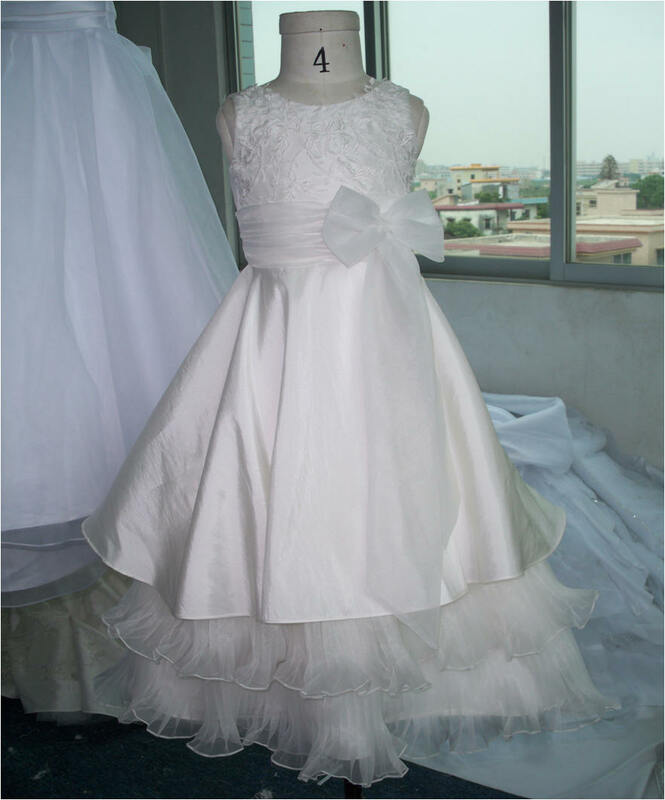 Sleeveless lace applique bodice, soft front bow, Triple layer skirt with double layer accordion pleated skirt exquisite miniature bridal gown. 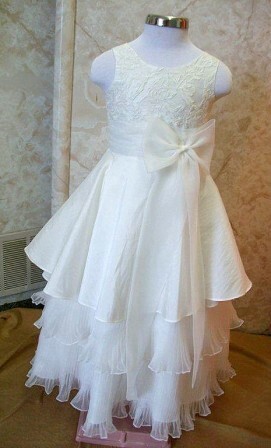 The star of this gown is the two tier pleated layered skirt. 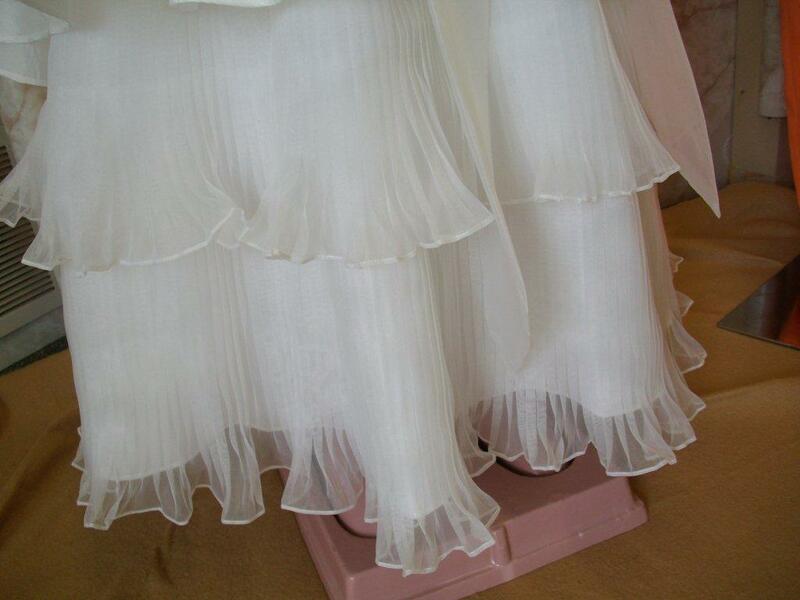 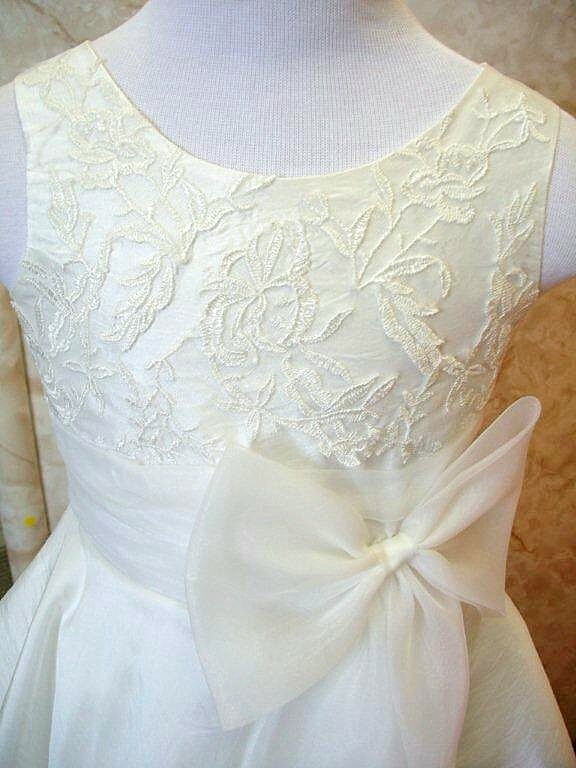 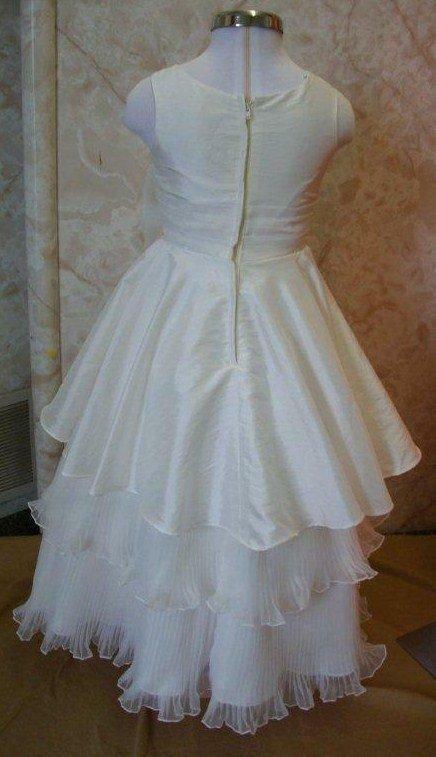 Laced applique bodice, accordion pleated layer skirt.